Health systems willing to experiment with new payment models has created an unprecedented opportunity for startup companies. But first their technologies must get to and through the pilot phase. That test period allows innovators to develop a sophisticated understanding of how their technology works in a clinical setting. Otherwise, innovators might get trapped in what is known as the "productivity paradox," where increases in information technology are accompanied by a simultaneous slowdown in productivity. Sarasota, Fla.-based Voalte, whose app allows clinicians to communicate via text or voice over internet, learned that lesson the hard way. After its two-month pilot at Cedars-Sinai Health System in Los Angeles failed, the company had to completely revamp its app. Voalte's big break came through a chance encounter at the Healthcare Information and Management Systems Society conference in Chicago in 2009. Darren Dworkin, chief information officer of Cedars-Sinai, showed up at the Voalte booth, where Trey Lauderdale, the firm's president, was demonstrating the product. Dworkin agreed to a pilot on the spot. Cedars-Sinai had been struggling with disruptive overhead paging, frustrating bouts of telephone tag and costly cellular bills. The fact that Voalte's app could be used throughout the system was a major plus. But the first deployment at Cedars-Sinai was rough. Clinicians struggled with dropped calls and bad reception. The app was weak when it was used too far from a Wi-Fi access point. Voalte also noticed workflow problems. What were the protocols for when a call should be made or text sent? What if someone was busy? How could important contacts be escalated and separated from routine chatter? "We didn't fully appreciate how much it impacted nurses' daily life," Lauderdale said. "Communication is embedded within each task." INNOVATION: An app that allows clinicians to communicate via text or voice over internet. STATUS: Cedars-Sinai in Los Angeles uses the app widely throughout its system after an initial rollout that was less than successful. Voalte went back to the drawing board, working 12 hours a day for nine months to re-engineer the app based on clinician input. After two months, the pilot ended in failure. Voalte went back to the drawing board in Sarasota. For nine months, they worked 12 hours a day to re-engineer the app. The company optimized the software for Wi-Fi roaming. 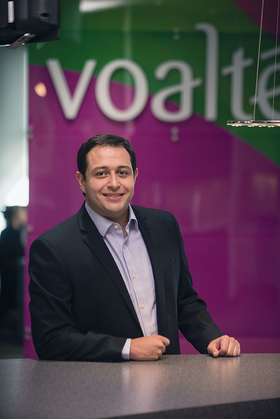 Voalte addressed workflow issues by hiring experienced clinicians who understood both the medical and IT systems and could figure out the best way to use the app. These professionals identified backup contacts for when a critical staff member wasn't available; and they set protocols for when to send alerts. Today, these clinical staff at the software maker are key advisers to hospitals when they begin deploying Voalte's app. Despite Voalte's initial failure, Cedars-Sinai's Dworkin and Lauderdale stayed in touch. Dworkin advised Lauderdale not to rush into the second deployment until the app had been perfected. "It's important to show potential customers that you have the chops to work through problems," said Eric Jensen, chief operating officer at Chicago-based Avia. Startups should be forthcoming about how they plan to overcome obstacles, even if it means describing in painstaking detail what has not worked, he said. One of the key challenges in deploying new technology is figuring out how to measure productivity gains. This requires measuring the success of a pilot over various intervals of time. In the short term, say the first 30 days, adoption or satisfaction are key indicators. More traditional measures, such as reduction in response times, can be used as the technology becomes more ingrained in the daily workflow. In the case of Voalte, it used the number of texts to measure overall adoption rates. One of the biggest surprises discovered during the rollout was that a majority of its users preferred texting rather than phone calls. On average, the company sees nine texts for every phone call. The improvements Voalte made to its software earned it a second chance at Cedars- Sinai. Other departments began using the technology within a couple of weeks. And over the past few years, the app has become widely used throughout the system. Lisa Ward is a freelance writer based in Mendham, N.J.
A version of this article also appeared on Modern Healthcare's Transformation Hub. Read more at ModernHealthcare.com/Transformation.